Well, I got screwed up because of WiFi problems, so these next posts will be a couple days late. But that shouldn’t matter to you. 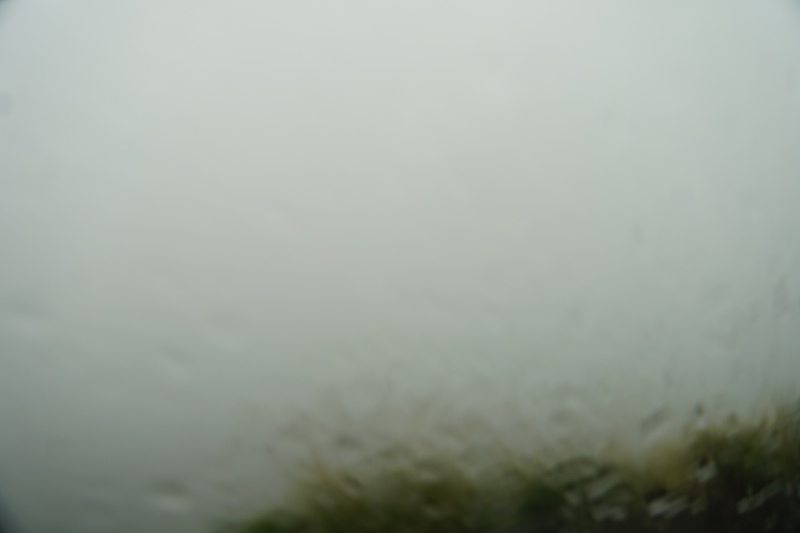 After breakfast, we take a very harrowing, steep downhill road trip in dense fog, the terrain alternating between rocks and pot holes, and slippery mud, that’s like driving on snow or ice. Not fun. Compare this “view” with those in my prior posts. 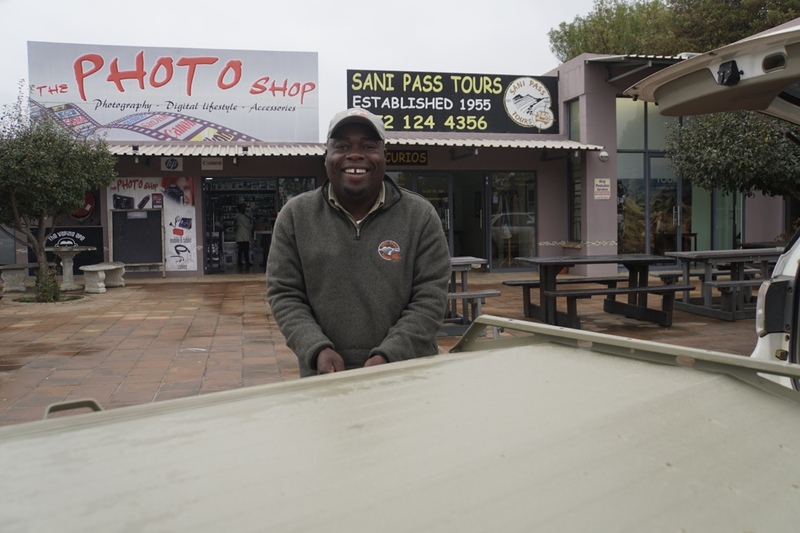 We arrive back into South Africa, say goodbye to our excellent Lesotho guide, Frank and reunite with our South Africa guide, Ndoda, in Underberg (a dairy and cattle farming community), passing through the Natal Midlands and onto Durban. 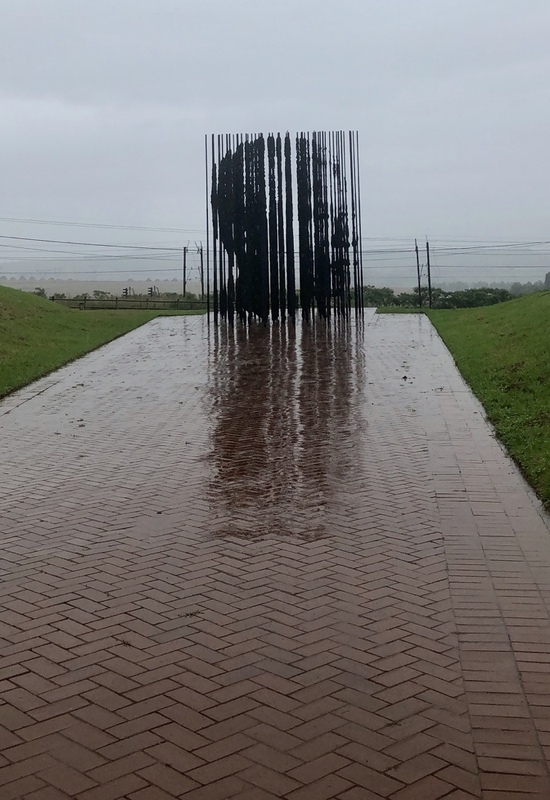 We stop at the Nelson Mandela’s Capture Site outside Howick, which is fascinating. 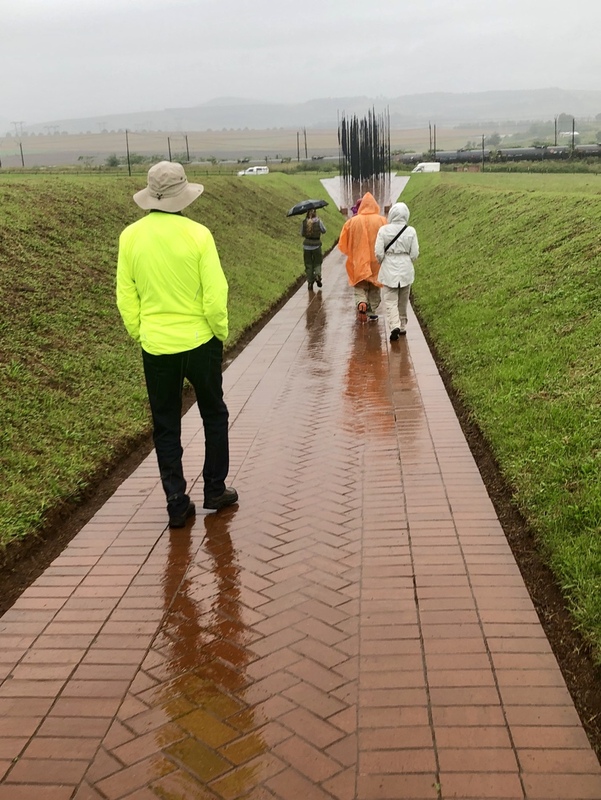 You walk down a long, brick path (in a light rain, in our case) towards what appears to be a cluster of twenty-seven metal poles, one for each year Mandela spent in prison. Along the sides of the path are metal plaques highlighting important events in Mandela’s life. As you get closer to the poles, you see that they are not random, but reveal a portrait of Mandela. Very cool concept. 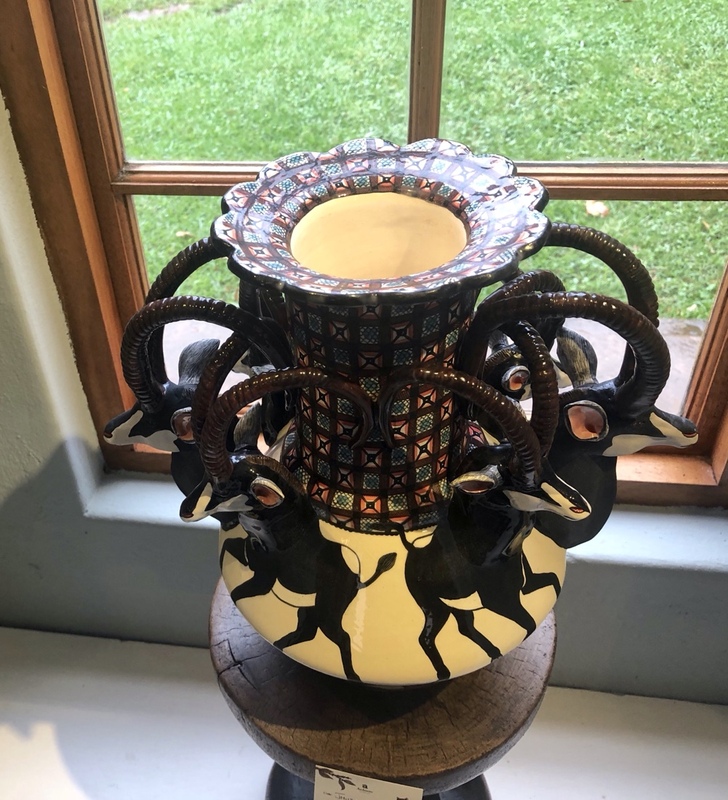 After the capture site, we drive about 15 minutes, at my suggestion, to see a wonderful ceramics gallery that Ndoda had mentioned. The Ardmore Gallery is situated on a lovely estate. The work is very unusual and of high-quality. After walking through the gallery, we are able to see where the work is done. There is a group of more than 80 artists who work in teams of three on a piece. 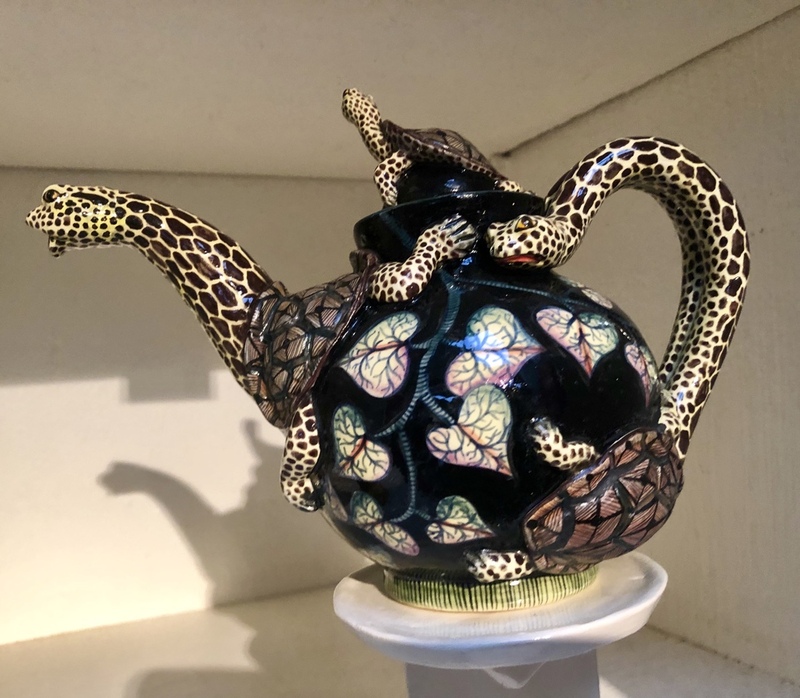 One person is the designer, a second does the ceramics and a third paints and fires the pieces. It’s interesting to see the people working on them. Afterwards, we return to the gallery and four members of the group purchase pieces. Because Carol is reading this blog, I can’t disclose whether I am one of them. We arrive in Durban in the afternoon. Durban is South Africa’s third-largest city and Africa’s busiest port. The city enjoys a wonderful sub-tropical climate and warm swimming waters throughout the year. Founded in 1824 by the British who negotiated with the mighty Zulu King Shaka, authorizing them to establish a trading station. In 1835 the town was named in honor of Sir Benjamin D’Urban and was augmented by the arrival of indentured Indian labor to work on the sugar cane fields. 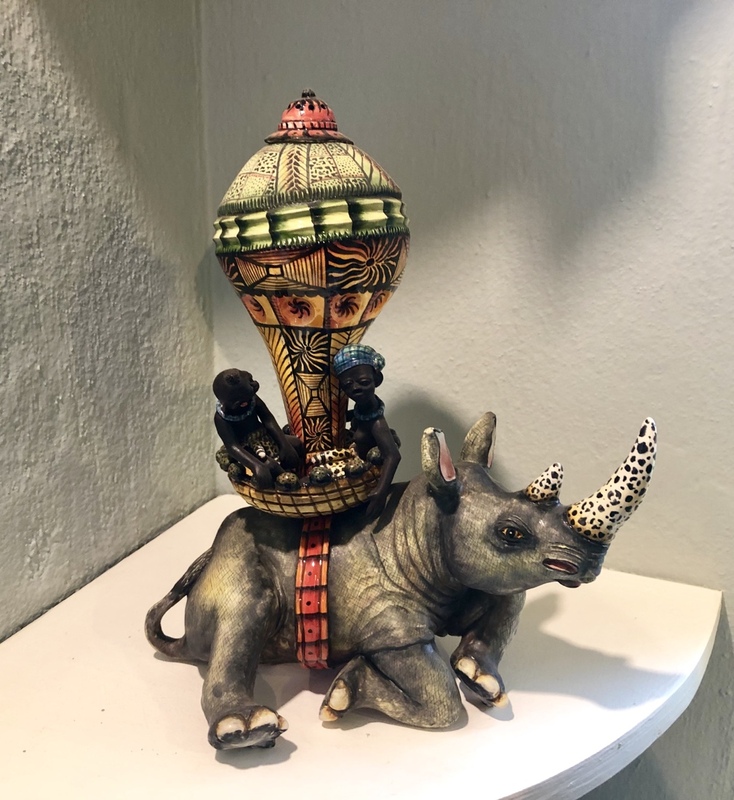 The city echoes these diverse Zulu, Colonial and Indian cultures in both its architecture and atmosphere and buildings reflect an interesting mix of Art Deco, Victorian, Indian and Zulu influences. 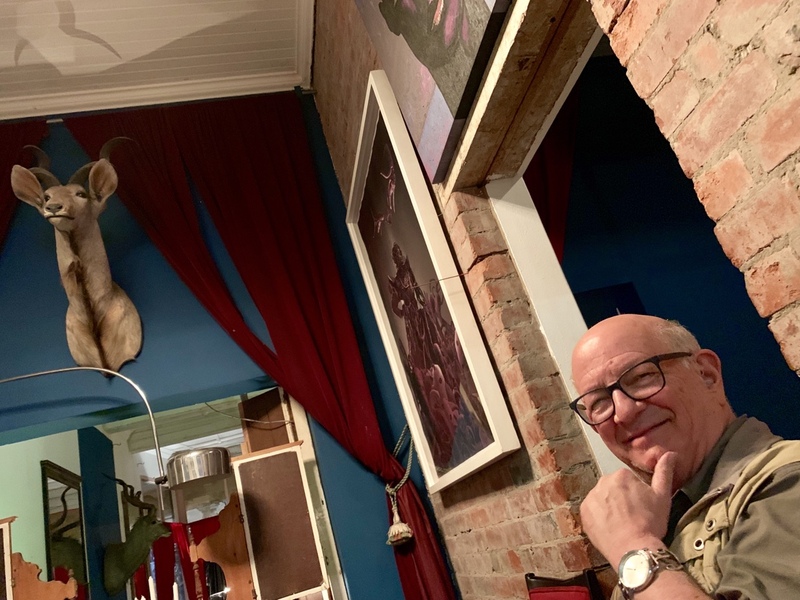 We have dinner at a very funky restaurant, each room decorated differently. An open area in the center would be available for dancing, were it not raining. We stay at a very upscale B&B, the Goble Palms Guest House.